Clare Stevens and Gary Boyd were proud to attend the prestigious SIA Rebuilding Lives After Spinal Cord Injury awards last night, hosted by the comedian Stephen Mangan. It was an honour to be in the company of such dedicated professionals who make such a valuable contribution to the lives of those affected by injury and humbling to see those living with injuries and the extraordinary achievements they have made since . We sponsored the outstanding occupational therapist award and the three nominees, Des Buckley from Headley Court, Michelle Clarke and Ruth Peachment from Stoke Mandeville were all worthy winners. 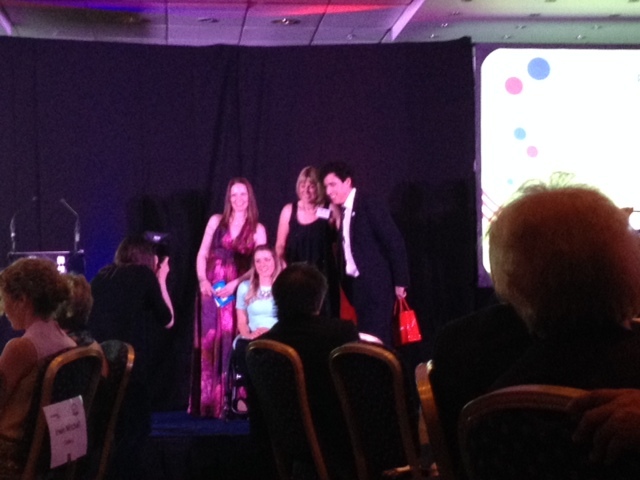 Clare Stevens was, however, delighted to present the award to Michelle Clarke. Congratulations Michelle.